Home » Bible , God's words , Jesus » Why Will All Peoples on Earth Wail Due to the Lord’s Return? Why Will All Peoples on Earth Wail Due to the Lord’s Return? It is prophesied in Revelation 1:7, “Behold, he comes with clouds; and every eye shall see him, and they also which pierced him: and all kindreds of the earth shall wail because of him. Even so, Amen.” Some people may ask: We believe that the Lord should descend upon a cloud when He returns. Yet what puzzles us is that believers in God ought to be wild with joy when they witness the Lord Jesus, whom they have long been yearning for, coming with clouds, so why will the scene appear where all kindreds of the earth wail because of Him? What kind of people are those who pierced Him? We all know the words prophesied in Revelation, which were directly revealed to the apostle John by God, are God’s words. God says all kindreds of the earth shall wail because of Him when He descends upon a cloud. The verses go on to say, “Even so, Amen.” And God’s word will never be wrong. The Bible prophesies that the Lord Jesus will come back in the last days, and all believers in the Lord are longing and waiting for His return. As the Bible records, the Lord Jesus says to His disciples, “For as the lightning, that lightens out of the one part under heaven, shines to the other part under heaven” (Luke 17:24). “For as the lightning comes out of the east, and shines even to the west; so shall also the coming of the Son of man be” (Matthew 24:27). The Lord Jesus also says, “Behold, I come as a thief” (Revelation 16:15), and “And at midnight there was a cry made, Behold, the bridegroom comes; go you out to meet him” (Matthew 25:6). In the words of the Lord Jesus, the Son of man is mentioned many times. We all know, the spiritual body can’t be called the Son of man and only God incarnate can be called the Son of man. Moreover, it says that the Lord returns as a thief. From these prophecies, we get to know one of the ways in which the Lord Jesus comes in the last days is to descend secretly. However, many believers only pay attention to the Lord’s appearing upon a white cloud publicly, but neglect God’s work when He descends secretly, which concerns directly whether we can welcome the return of the Lord. Nowadays, the Lord Jesus, incarnated again and descending in secret, has done the work of judgment beginning at God’s house. God returns to save those truth lovers and true believers in God. Now, in the denominations and sects, all the people who truly seek and thirst for the appearance of God have heard God’s voice, followed God’s footsteps, come before the throne of Christ of the last days, Almighty God, and accepted God’s work of judgment in the last days. In God’s work of judgment and chastisement, these people pursue the transformation in disposition, gradually know God and know the fact about their corruption by Satan, walking on the right path of life of worshiping God. Only those who accept the work of judgment in the last days and get purified can welcome the public appearance of the Lord—they are wise virgins. While those people, who blindly wait for the Lord Jesus to descend from the heaven upon a white cloud, cleave to their notions and imaginations, not seeking or investigating God’s work. And even worse, some of them follow the CCP, the atheistic party as well as the religious antichrists slandering, condemning and opposing God’s work in the last days. These people are the Pharisees and antichrists revealed by God, and they are the very people who pierced Him as stated in the Book of Revelation. Those who resisted and condemned the incarnate Christ of the last days will weep and gnash their teeth when God appears openly, and they will suffer God’s righteous punishment. In retrospect, in the Age of Grace, when the Lord Jesus did His work, the chief priests, scribes and Pharisees in the religious world didn’t acknowledge Him as God incarnate. They even defined that God could only be called the Messiah and He was not God unless He was called the Messiah. Besides, they judged, condemned and persecuted the Lord Jesus, joining hands with the Roman government to crucify the Lord Jesus at last. As a result, they committed a heinous crime and led to the destruction of their nation of Israel, with their people fleeing to countries around the world. They rejected God, thus they had to suffer God’s righteous punishment. Whereas, people in the last days who have expected the return of the Lord Jesus replay the historical tragedy. 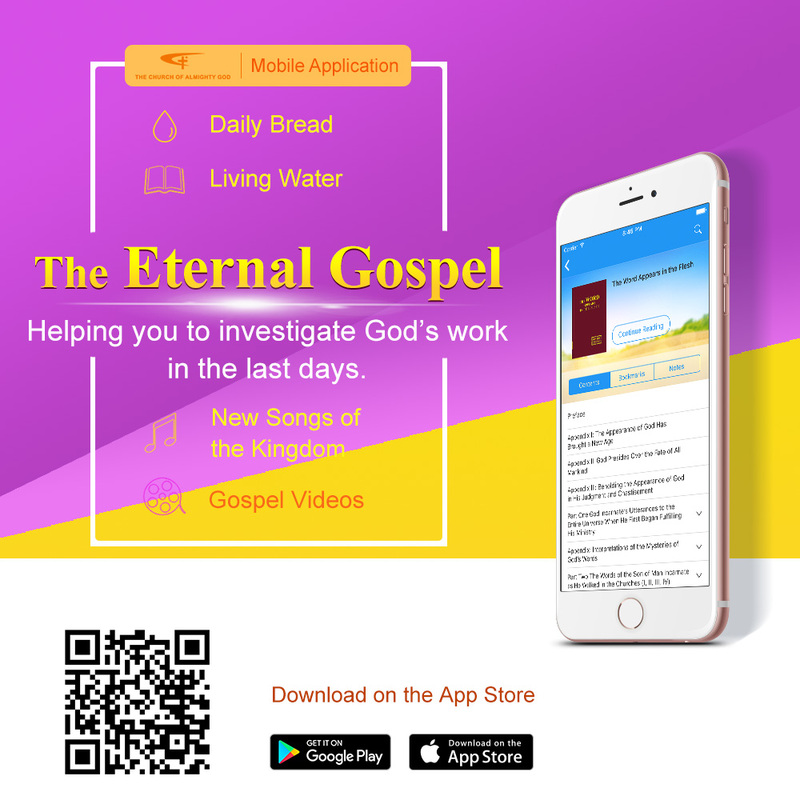 When Almighty God comes to perform the work of the last days, many people have heard the testimony of God’s work in the last days for many times. However, they hold to their own imaginations and notions, and believe the rumors fabricated by the CCP atheistic government as well as the religious antichrists. As a result, they neither seek nor investigate. Moreover, they not only refuse to accept Almighty God’s work in the last days, but forsake and condemn the incarnate God. When God’s work in secret finishes, the catastrophe will come soon. After the disasters, God will appear publicly. When people who have resisted and condemned God see the One who is riding upon a cloud is Almighty God that they have persecuted and rejected, how could they not mourn and grind their teeth? It will be too late to regret then, and it will be beyond redemption, and they will fall into the disasters. At that time, the scene that all kindreds of the earth shall wail will appear, and it will fulfill the words, “and they also which pierced him: and all kindreds of the earth shall wail because of him.” That is to say, when God publicly appears to man on a cloud, it is the time when man’s outcome is revealed. Let’s read a passage of Almighty God’s words. Then we will become clearer about it. Almighty God says, “People who do not accept the truth, yet blindly await the arrival of Jesus upon white clouds, will surely blaspheme against the Holy Spirit, and they are the race that shall be destroyed. You merely wish for the grace of Jesus, and merely want to enjoy the blissful realm of heaven, yet you have never obeyed the words spoken by Jesus, and have never received the truth expressed by Jesus when He returns to flesh. What will you hold up in exchange for the fact of Jesus’ return upon a white cloud? Is it the sincerity in which you repeatedly commit sins, and then confess them, over and over? What will you offer in sacrifice to Jesus who returns upon a white cloud? … those who believe in God because of the signs are surely the brood that shall suffer destruction. Those who are incapable of accepting the words of Jesus who has returned to flesh are surely the progeny of hell, the descendants of the archangel, the brood that shall be subjected to everlasting destruction. Many people may not care what I say, but I still want to tell every so-called saint who follows Jesus that, when you see Jesus descend from the heaven upon a white cloud with your own eyes, this will be the public appearance of the sun of righteousness. Perhaps that will be a time of great excitement for you, yet you should know that the time when you witness Jesus descend from the heaven is also the time when you go down to hell to be punished. It will herald the end of God’s management plan, and will be when God rewards the good and punishes the wicked. For the judgment of God will have ended before man sees signs, when there is only the expression of truth. Those who accept the truth and do not seek signs, and thus have been purified, shall have returned before the throne of God and entered the Creator’s embrace. Only those who persist in the belief that ‘The Jesus who does not ride upon a white cloud is a false Christ’ shall be subjected to everlasting punishment, for they only believe in the Jesus who exhibits signs, but do not acknowledge the Jesus who proclaims severe judgment and releases the true way of life. And so it can only be that Jesus deals with them when He openly returns upon a white cloud. They are too stubborn, too confident in themselves, too arrogant. How could such degenerates be rewarded by Jesus? The return of Jesus is a great salvation for those who are capable of accepting the truth, but for those who are unable to accept the truth it is a sign of condemnation” (“When You Behold the Spiritual Body of Jesus Will Be When God Has Made Anew Heaven and Earth” in The Word Appears in the Flesh). From Almighty God’s words, we know that toward the return of the Lord Jesus, man’s attitude determines his outcome. During the period Almighty God works in the last days, facing the truth expressed by the returned God, those who cling to their notions rather than seek or investigate His work, and those antichrists who make an enemy of God incarnate, as well as those who follow antichrists and the CCP condemning and resisting God, are the brood who will perish and descend into hell in the end, which is determined by God’s righteous disposition. On the contrary, concerning the coming of the Lord Jesus, if man treats it cautiously and seeks it with fear of God humbly instead of jumping to rash conclusions, then God will enlighten and illuminate them to understand the truth in what God says and know His work, and thus they can get the chance of salvation and will surely not fall into disasters. Nowadays, Almighty God’s kingdom gospel is spreading to all countries around the world. As long as, through reading God’s word, all brothers and sisters who truly believe in God and love the truth investigate Almighty God’s work in the last days carefully, they will be led and enlightened by God and enter into the Age of Kingdom. If people seek the truth genuinely, they will get opportunities of experiencing God’s judgment and chastisement and being purified and perfected by God. Finally they will become a group of overcomers that God gains in the last days as foretold in the Book of Revelation. Believing in God is not like playing a game. God’s work awaits no one. Now God’s work of the last days will conclude with His glorification, and the great disasters will befall soon. 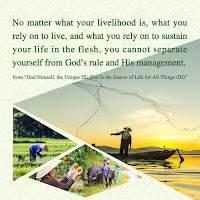 Only keeping up with the pace of the Holy Spirit’s work, experiencing Almighty God’s judgment and chastisement, and pursuing to become ones who truly believe in, love and worship God will people rejoice and be exceeding glad, and live under the blessing of God when seeing God appear to man publicly.